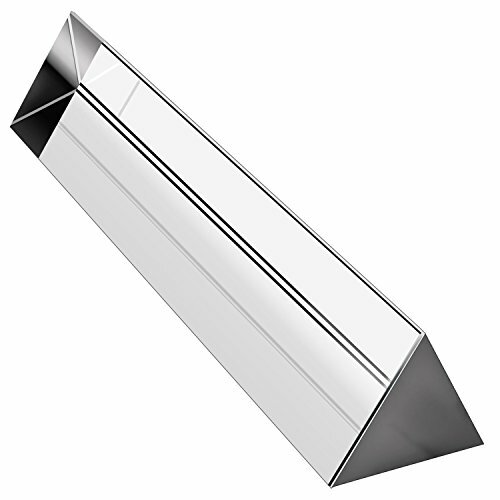 Use this triangular prism to split a beam of light into its spectral components (the colors of the rainbow). Side Length: 1.38 inch / 35mm, More Than Average Width, Stable Handheld. Show your kids a rainbow, or have photography fun. Material: optic glass, not plastic. With AMLONG CRYSTAL Authentic Brand Logo Box, Fully Protected Package. If you have any questions about this product by Amlong Crystal, contact us by completing and submitting the form below. If you are looking for a specif part number, please include it with your message.